Belonging to the family of moths called Saturniidae, the Imperial Moth can reach up to six inches. Many members of this family are large-bodied and short-lived as adults – typically living only one or two weeks and not feeding in this stage. This female was attracted to lights during a national moth week event at Cuivre River State Park on July 31, 2016. 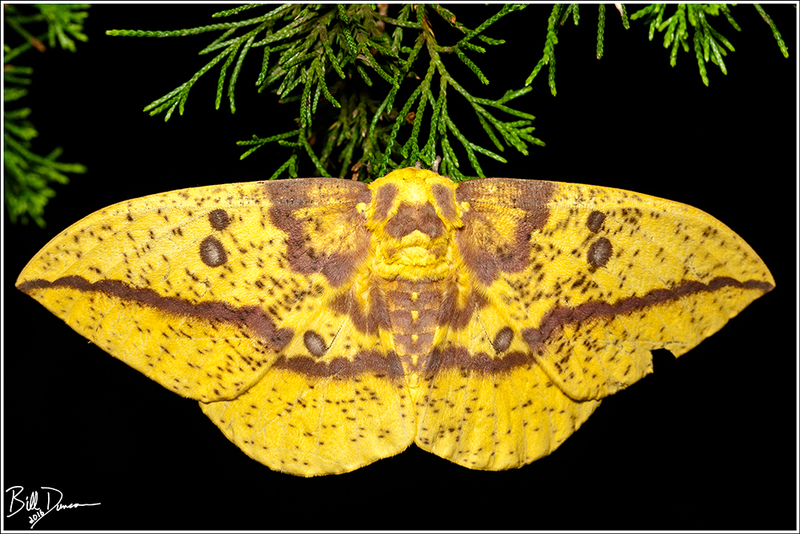 Imperial Moth – Saturniidae – Eacles imperialis, photographed at Cuivre River SP during national moth week. Previous Previous post: Hyperparasite: Acroclisoides sp.